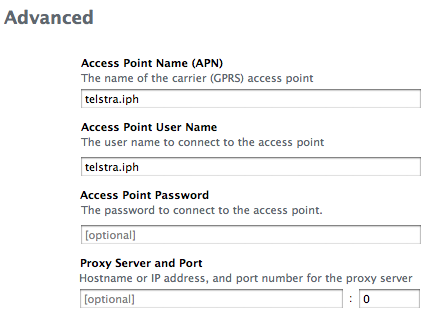 On my iPhone I cannot see the APN, and I had reason to think that I was connected to the wrong one. 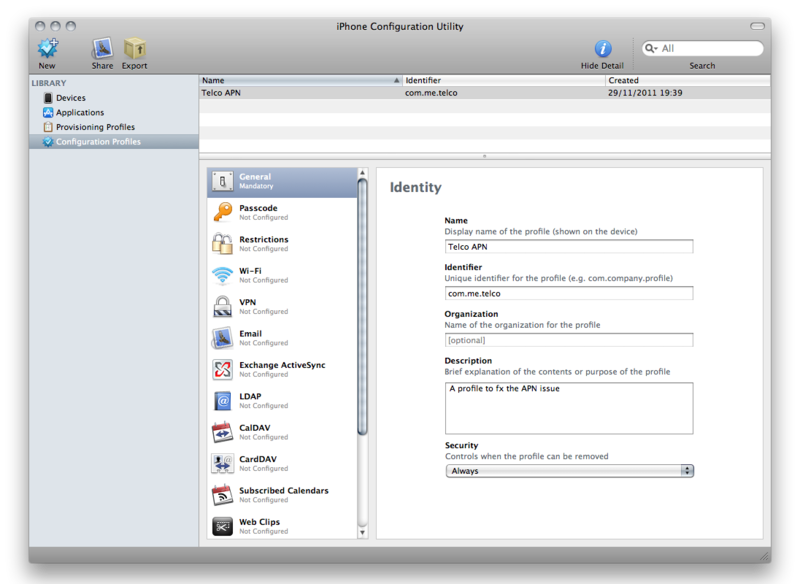 Using the iPhone Configuration Utility you can create your own APN for iPhone or iPad and assign them. 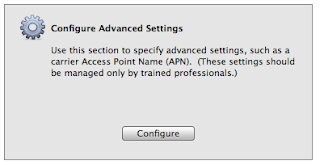 Click on "Configuration Profiles" and then "New"
Make sure General is selected, and put in some details. Exactly what you put doesn't matter as long as its enough for you know what you did later. Then scroll down in the middle window to "Advanced". 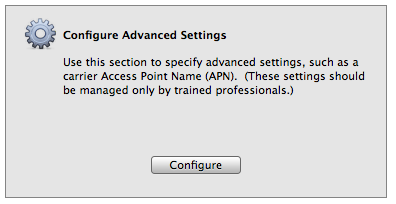 You'll get a warning about this section being managed only by trained professionals. What is this? Some kind of extreme sport like Strictly Ballroom? 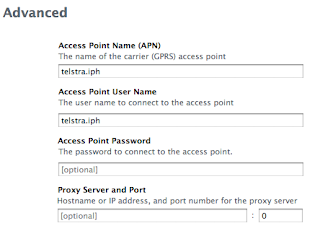 Yeah well, click Configure and put in the APN details. 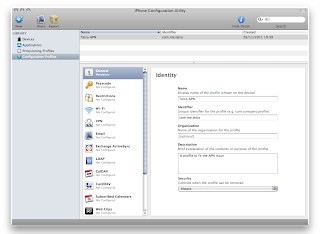 It _is_ important you get these correct, but even if you get it wrong, and your iOS device cannot get mobile data, just reconnect your iOS device load up the Config Utility and delete the Profile. Not really life and death! 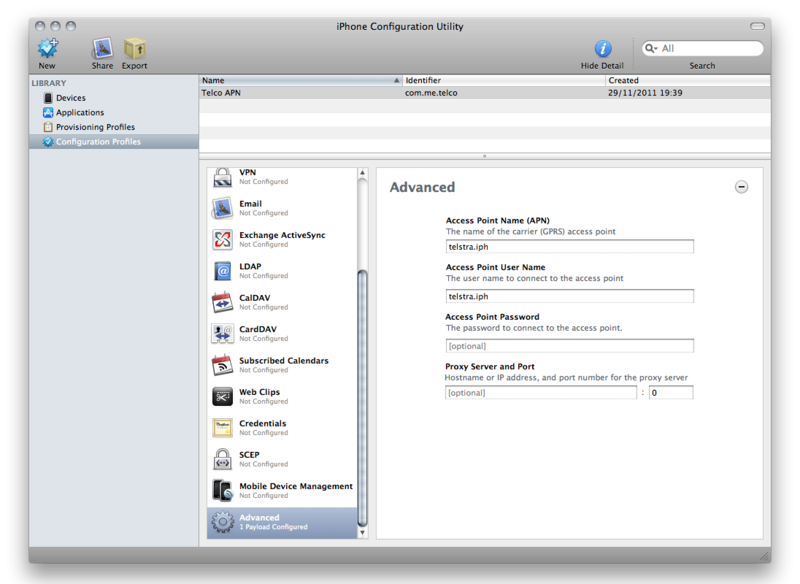 You may need to restart the device to get the new setting.